I am pleased to announce another piece of original art in my Yoga Fantasy Series, Dragon Warrior III Pose by Helene Jacobs, is now available on an 11 oz. ceramic mug. 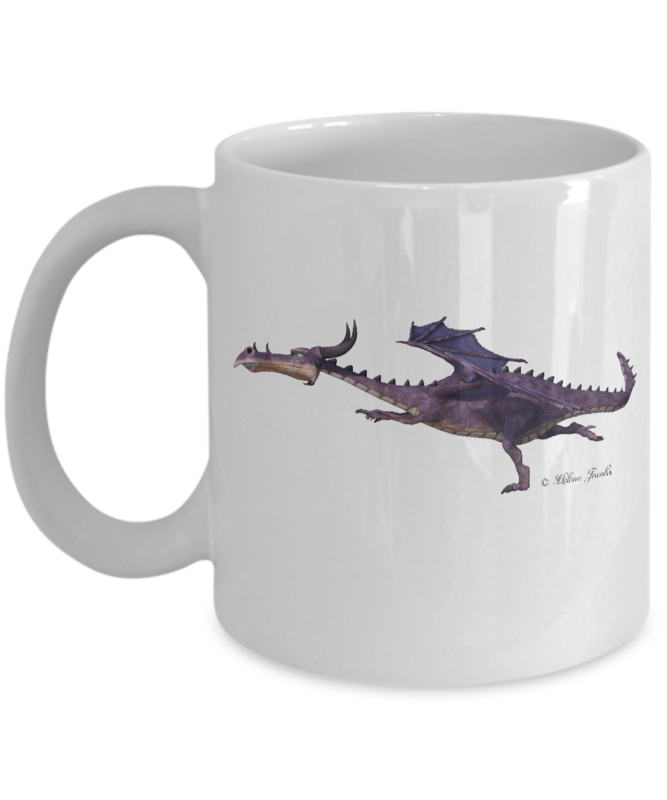 This High Quality mug makes the perfect gift! This is an Exclusive copyrighted design by Helene Jacobs. No other seller is authorized to sell this design on any product. Mugs can be used for more than drinks - I store pens & pencils in them on my desk, and silverware in them on my kitchen counter. Our 11 oz. 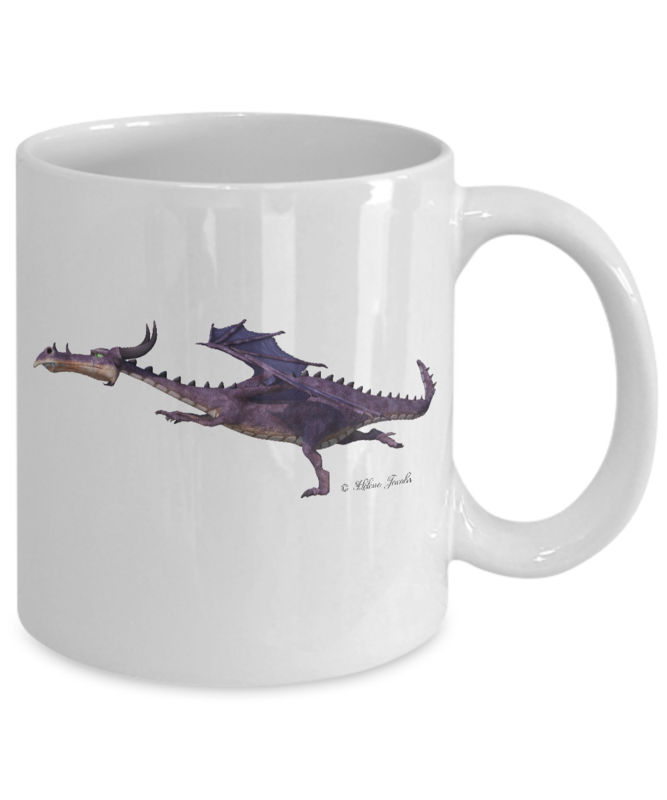 mugs are made from the highest grade ceramic, and are dishwasher and microwave safe. The designs are printed and sublimated in the United States. The highest quality printing possible is used. It will never fade no matter how many times you wash it. Mugs are custom printed when you order and shipped from the USA in a custom made styrofoam package to ensure it arrives perfect. GUARANTEED. Please allow 2-3 weeks. Contents of mug not included - they are shown for demonstration purposes only.